The south entry gate of Jamia Masjid, Srinagar's Main Mosque. The massive Jamia Masjid is appropriately situated in the heart of Srinagar's old city. Visible above is a portion of the cavernous inner hall followed by the spacious inner courtyard. 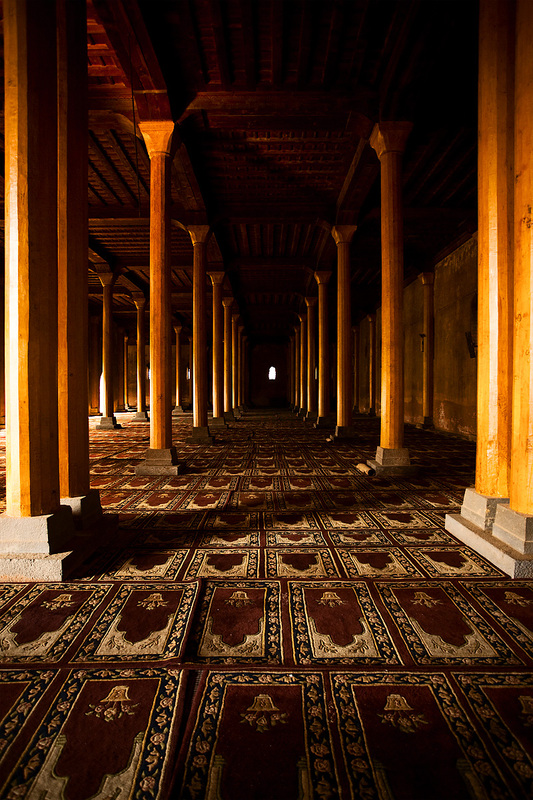 At full prayer capacity, the mosque is able to hold approximately 30,000 people inside. Today's photos are another installment of archived photos (on the weekends). The south hall of Srinagar's Jamia Masjid (Main Mosque). 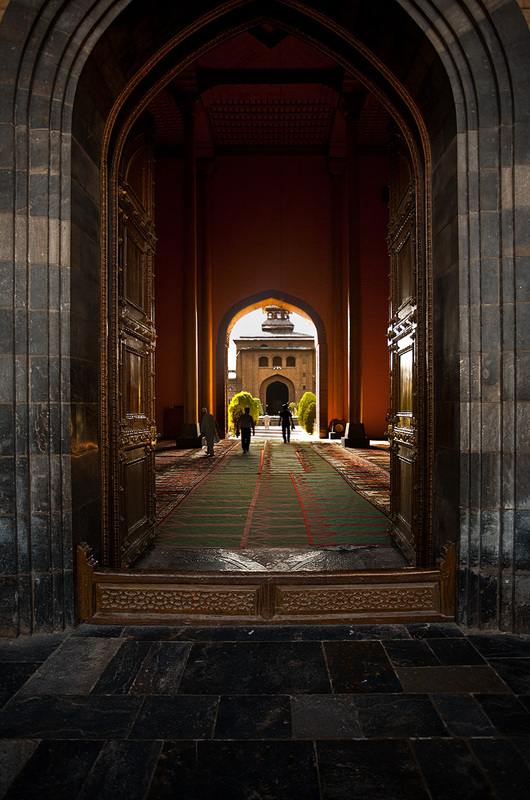 The four halls that make up Jamia Masjid largely stand empty in between official prayer times. During these intervals, the mosque accommodates tourists as well as the occasional Muslim praying on his own whim. 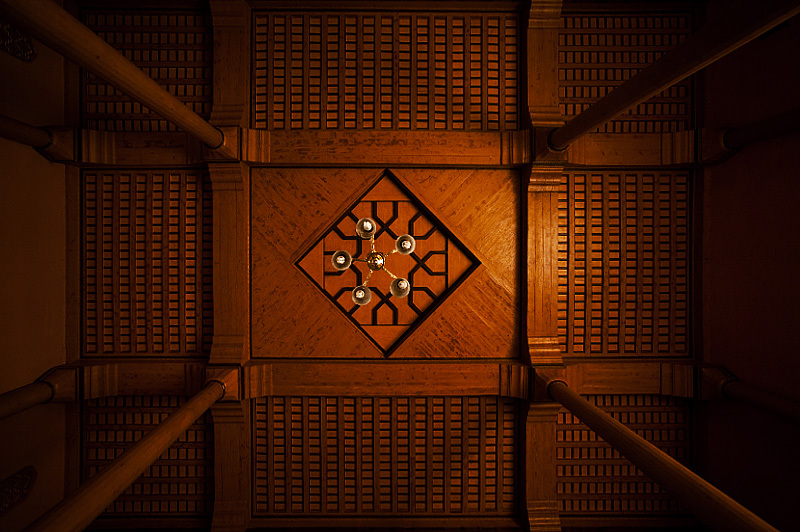 A chandelier and carved ceiling of one section of Srinagar's Jamia Masjid (Main Mosque).